It’s hard not to notice the Galaxy S8. Almost every site and blog, even ones unrelated to technology, is covering it, and that is what Samsung wants. Its big – err, tall – and beautiful, and Samsung’s CEO expects it to surpass the single year Galaxy S7 sales, a prediction that will prove difficult given the generous year-end bump the its predecessor saw due to displaced Note7 owners. Numerous hands-on from around the web have shown Samsung’s attention to detail in creating one of, if not the, most beautiful pair of smartphones to date. 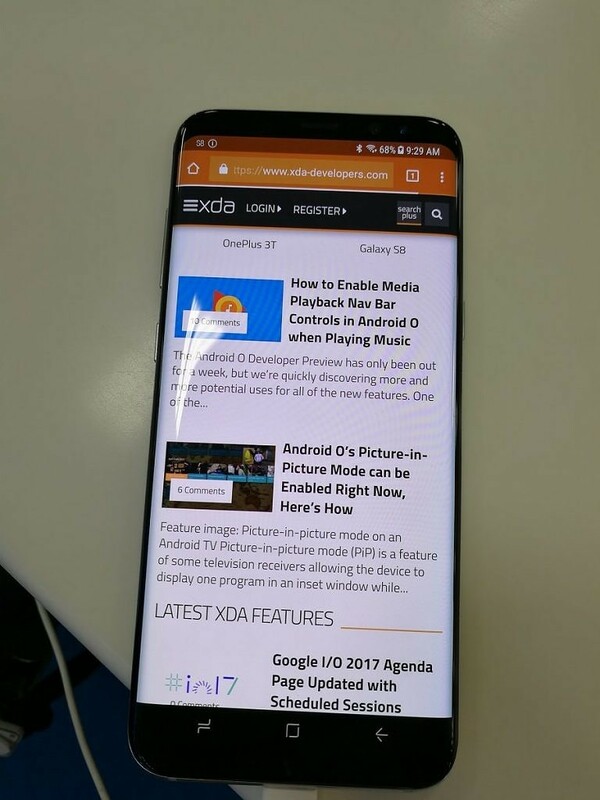 Late last year all the buzz was around the Mi Mix for this urge to reduce bezels, but where the Mi Mix was undoubtedly a concept phone with bizarre trade-offs in usability in exchange for the wow factor, the Galaxy S8 is not, it and comes with few (if any) usability compromises when you consider the Note7 was also an edge-only model. But with all of these innovations and eye-catching features, Samsung does not disappoint its long-time onlookers with some baffling decisions. Firstly though, it’s important to note my viewpoint: I am a fan of Samsung phones, outspokenly so; I felt the Note7 was one of the best phones for whatever life throws your way and I feel the S8 is perfectly capable of continuing that legacy. But I still am left wondering if Samsung is actually building the best smartphone it is capable of. 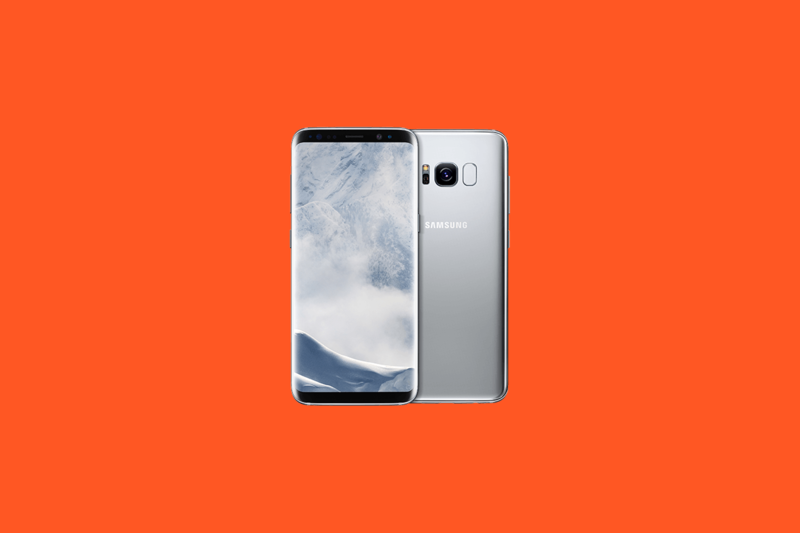 Some of the following items are things I wish the S8 didn’t offer – admittedly, many are nitpicks – and that are small and weird enough to prevent it from attaining the hardware perfection we’d expect from a phone north of $800. This one is going to be a popular nitpick but seriously, why are we still dealing with a single bottom mounted speaker on such an expensive phone? While I could argue that I prefer the speaker on the left side opposite my primary holding finger, lefties will disagree. But there is no excuse for Samsung omitting a tweeter of some sort in the earpiece. Samsung made it a primary goal to show how great the multimedia experience is, but when sound fires out of only one side and away from the viewer all immersion is gone. In that context, it’s counterproductive and detracts from their goal of maximizing immersion through their “infinity display”, which they tout as a media-consumption dream. My HTC 10 had it, my iPhone 7+ has it, my Huawei Mate 9 has it; these devices haven’t even been built around media consumption to the extent the S8 has with its high-quality, HDR-ready display. We criticized the Pixel XL for not providing stereo speakers within the same premium price-bracket, and Samsung is arguably poised to offer this with ease to enhance its immersive ambitions. I know this is going to sound very nitpicky (as it is), but look at the above images. Samsung has been designing metal-framed phones since 2014, but yet they still cannot manage to align the ports on the top or bottom of the device. It is a small thing, I know, and it is something most users may not even notice, but it is something that stands out once you notice it, and some reviewers agree that Samsung hasn’t balanced their phone’s bottom properly in the past. There is actually an argument for why this is important, too — such decisions are simply not in-line (heh) with their promises of a seamless, symmetric and harmonious design. It’s a small thing, but with the Note7 they began focusing on symmetry, and these kind of details prevent it from achieving a consistent, integral design. If you look closely, too, it isn’t just the iPhone that can get the proper alignment of ports and machined holes. Huawei also manages to do it with the Mate 9 and Mate 9 Pro (top and middle respectively), so we can see this is not a side-effect of less room due to dual curves. When I pick up or evaluate a device, one of the first things I do is look around it and admire the workmanship that went into it; when I see the S8’s port alignment, it just feels like lazy craftsmanship and inattention to detail in an otherwise-pristine design. 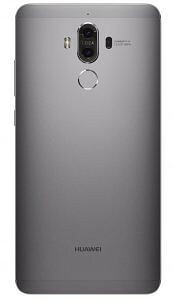 The fingerprint sensor is also a point of issue with the device. It is clearly apparent that the initial leaks we had regarding an in-display fingerprint sensor were true, but it was panned due to low yields or development setbacks. One could argue that Samsung offers a myriad of forward-facing options like its Iris scanner and rather quick face detection, making the fingerprint sensor really unnecessary, and you wouldn’t be wrong. However, the fingerprint scanner is still arguably the most reliable option for anyone not wearing gloves or not dealing with cheeto fingers. Its awkward placement is high for any phone, but the S8+ is one of the tallest phones around and will be likely unreachable for all but the largest of hands without repositioning the phone. Google, LG, Huawei, and even Sony have found alternatives to placing the sensor on the front that are far superior than what Samsung implemented here. It absolutely feels like an adjustment that was made later in the design game and feels out of place, once again subtracting from the overall harmony of the back design by breaking symmetry. I got to play with a Galaxy S8 at my local Best Buy today and the rep was kind enough to give me the untethered down demo model they use in the Experience Shop. In practice, lifting the phone and hitting the sensor while grasping the device is easy and the location of the sensor should not be a bother in day to day life. The issue is that after unlocking the device you need to slide it down in your palm in order to then operate the nav bar. The same situation plays out over and over with positioning and repositioning as you toggle between operating the navigation bar and status bar which is a testament to the phone just being too tall. Further on the aspect ratio Samsung and Google have some work to do redesigning Android to properly support these new taller & narrower displays. One of the first things that stood out to me was how janky the status bar looked. Upon closer inspection, it is due to the curves on the display and the status bar icons needing a spacer to avoid being cut off. This causes icons to be set in on the status bar in an unnatural way, but it also makes the phone feel uneven since the display clearly extends past the end of the status bar. For casual users, it likely won’t make a difference; for those of us who notice small things like this it will get quite annoying. Its like the tag sticking up on a t-shirt, most people won’t notice it, but for those of us that do, it is quite annoying. I also infer that this same problem, which is a product of the narrower aspect ratio and the curved screens, will also make certain interfaces less optimal as elements have less relative width while also being devoured by the curved edges. I know this is going to be a sore subject for a lot since definitive numbers won’t be out for a bit, and Bixby isn’t even fully functional yet so even the first waves of reviews may not even be entirely accurate. I also know that Samsung had a tough time last year with their battery woes causing them to maybe be a little conservative; but a lateral battery move (in terms of capacity, not resulting battery life) is disappointing to say the least. As I have mentioned a few times before, I have an iPhone 7+ and I currently also have the Huawei Mate 9. These are not my first large sized phones, but they are the first phones I have owned in years that I can totally disregard the battery status of and know I will be perfectly fine. While the Mate 9 helps to boost its battery via some questionably-aggressive battery tactics which I will talk about in another article, the 4,000mah beast of a battery does not give up. I have my personal battery test where I have rough signal at work causing the it to search for signal on and off, along with regular Slack, Hangouts, and Facebook Messenger notifications and an hour or two of podcasts. It is tough and it really pulls on nearly every aspect of a device from standby time, to radio implementation but it helps me truly evaluate what a device is capable of. Most devices survive this test and they could last a day of conservative to moderate usage, but if I really needed to push it hard, they need a charge. What sets my Mate 9 and iPhone 7+ apart though, is that I know when I have a day where I really have to push my device hard with constant screen on time, camera usage, wireless tethering or more; those two phones will not let me down and get me home with room to spare but my S7 Edge and Note7 could not even come close under these conditions. I am not saying the Galaxy S8 wouldn’t be able to pull through (frankly, I don’t know), but the fact that (unlike previous years) Samsung hasn’t made battery life a key talking point of their announcement does have me worried. That said, it could just be they had a plethora of features to prioritize in their discussions. I applaud Samsung for innovating new battery tech that lessens the degradation that comes with time (which will no doubt improve the longevity with Smartwatches), but I do not want more of the same battery life, I want more, especially when other OEM’s are already offering it. And while software optimizations and advancements in power savings from new processors and screens do help, the sad truth is that the mAh count is still the most crucial measure, and one that gives 1:1 improvements with larger capacities should all other factors remain equal. On that note, I want to point out that the battery capacities of the S8 and S8+ are by no means small considering that their screen areas are very similar to those of the S7 and S7 Edge, despite their misleadingly-longer screen diagonal measure. You might be thinking this is an “against the grain” article written to stand out among all the positive press the device is getting, but it’s not. The Galaxy S8 has all the chops to be a phenomenal phone and a likely contender for the phone of the year. But that does not change the fact that Samsung could still be doing more to make its devices nearly untouchable, especially when they are asking nearly $100 more than they were last year. 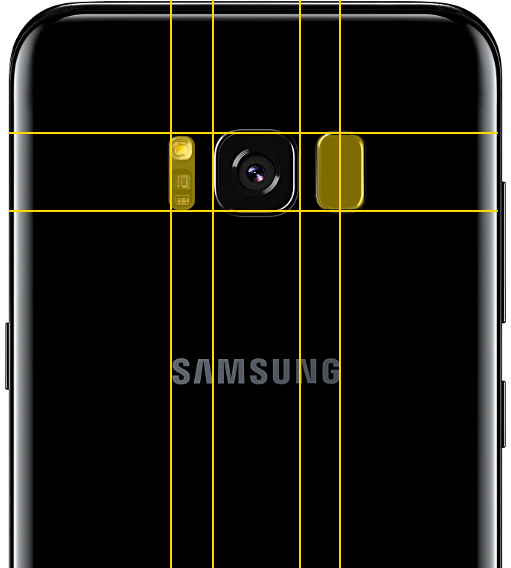 That’s ultimately the biggest argument against some of these smaller issues I have with the phone: if I am going to be paying such an absurd sum of money for the Galaxy S8, it really needs to come together in a way that leaves no room for error, no risk and no compromise. This is most likely the most expensive smartphone that we’ll see in 2017 (excluding, perhaps, a Note 8), so it’s not unreasonable to ask for an absolute premium, consistent, thoughtful and thorough package. This is not 2016 anymore. Blackberry is targeting the business professional again with the excellent looking KEYOne, the iPhone is rumored to be getting its first radical redesign in 3 years, Google is making a dent in the market with companies fighting over it, and LG figured out what it did wrong with the G5 and has delivered a compelling package unlike the blunder we saw last year. It’s not just mainstream OEMs look to disrupt Samsung’s targeted market either. OnePlus has demonstrated that you don’t have to spend $700+ for an excellent flagship if you are willing to sacrifice a few features, yet still receive timely updates and support. Huawei is on the ball recently, by finally trimming the fat away from EMUI, delivering stellar devices, and is right on Samsung’s heels in global sales. While we can write articles upon articles about similar nitpicks with any of those devices, Samsung has the largest resource pool, the most experience, and the most to lose. Even the smallest details can be ironed out for future releases, and Samsung has indeed been inching closer to hardware perfection — just a few niggles remain, and as someone who truly enjoys their flagships, I’d love to see them corrected as Samsung is the only one currently situated to offer such pedigree, even if it comes at a premium price.